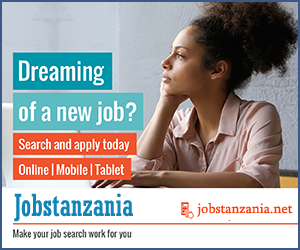 ZoomTanzania is a website where locals go to find accurate and up-to-date business, entertainment, jobs, real estate, cars, travel and classified information. Founded in 2009 by Kirk Gillis. 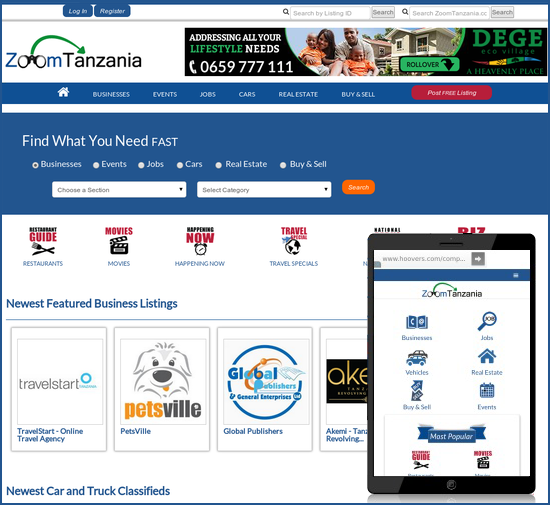 ZoomTanzania.com is the largest classifieds site in Tanzania, with over 3 million monthly page views. ZoomTanzania.com the third most visited Tanzanian website, generating reach and awareness for the country’s top brands. Tanzania is one of the fastest growing markets in East Africa which is the reason that made Robin Lingg, CEO, Ringier Africa & Asia to make Zoom Tanzania part of Ringier Africa AG after a 51% stake acquisition in the company. Kaymu has Dominated the Tanzania's online Market place for a while now but it seems like Zoom Tanzania is ready for a head and toe competition with the Giants. With the number of visitors they have, I believe Zoom Tanzania can perform better in the coming years, all they need to do is upgrade their security in order to protect the buyers and sellers with more means of secure Payment system. All in all, I can say well done Kirk Gillis, founder and Managing Director of ZoomTanzania.com as he has opened doors for more Employment opportunities to the Locals as Zoom Tanzania is expanding each day.